Taken from Carina Spencer: "Brush Creek Cowlette." A cowlette is a cowl with the look of a shawlette when worn. 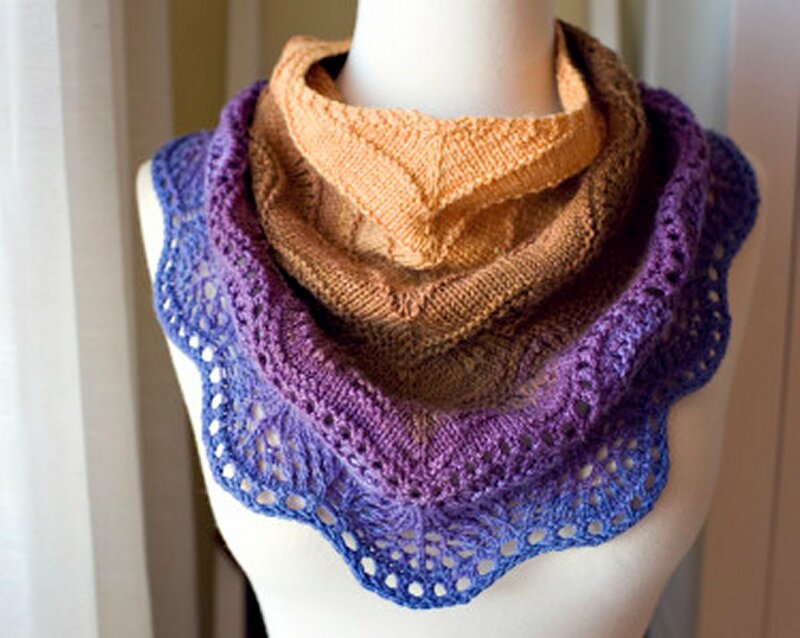 Brush Creek has all the style of a lace shawlette without the fuss of trying to keep it stylishly draped around your neck! This pattern is from Carina Spencer - Brush Creek Cowlette. Size US 5 16" or 20" circular needles (or size needed to obtain gauge) are required but not included. Notions required but not included: stitch markers, double pointed needle 2 sizes large than main needle for loosely binding off, and a yarn needle. Finished Measurements: 19" neck opening, 15" center front, 7" center back after blocking. Gauge: 22 sts and 30 rows over 4" in stockinette. Yarn shown is Brooklyn Tweed LOFT. 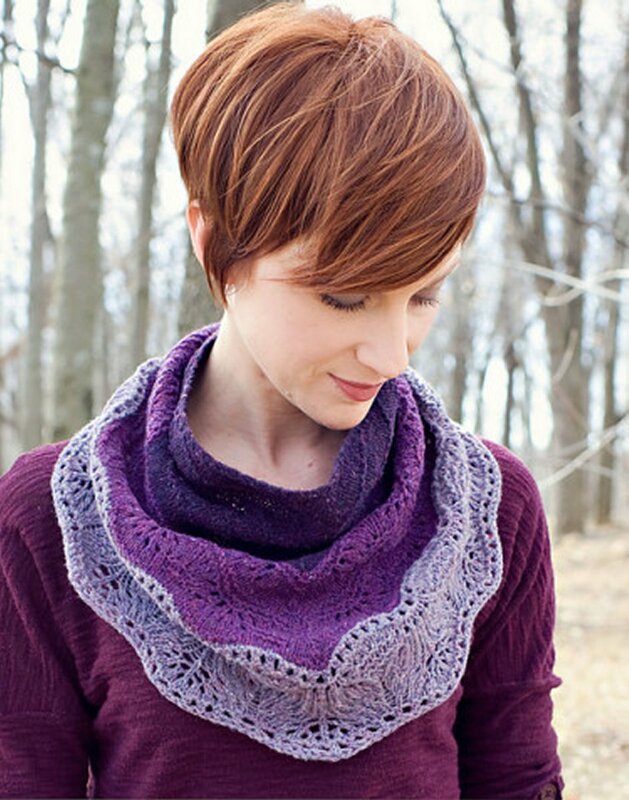 We do not currently carry this yarn, but Vice Blurred Lines is a great substitute.